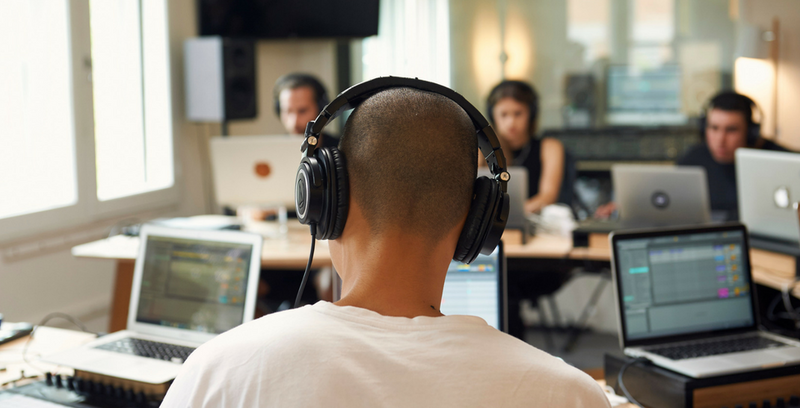 An essentials course in Ableton Live and the fundamentals of electronic music production. The course consists of 3 modules - Begin, Remix and Create - covering Ableton Live, hardware controllers, remixing, writing electronic music, promotional mixtapes, working with video, and the fundamentals of beat-making, harmony, sound design and mixing. Liveschool courses support both Live 9 and 10, so making the transition to 10 is seamless for all students and past graduates. The ABLETON LIVE PRODUCTION ESSENTIALS course consists of three modules: Begin, Remix & Create. Access a private online community of like-minded music producers to share ideas, inspiration, give feedback & propel each other forward. Perfectly crafted online videos, delivered at the right time to help fast-track your progress. What skills or experience do I need to have before taking this course? know will be covered in class. What happens if I don’t complete my final production projects on time? put your learning into action, while progressing your skills at a comfortable pace. for any reason, we can provide one-to-one training to help catch you back up. What if my circumstances change and I can’t attend one or more sessions? After booking your course you are responsible for attending all dates and we do not refund, nor accept any liability for your loss of course time. Alternatively, you are able to transfer your booking to another date or course if you contact us 1 month before the course begins. This gives us enough time to fairly try and fill the seat. This is subject to availability.